If you saw my last post then you’re already familiar with the Pitti Uomo trade show and know that I’m going through a few of the key trends that were worn during the event. Last week I talked about heavy fabrics and showed you an easy way to incorporate them into a sophisticated and elegant outfit. 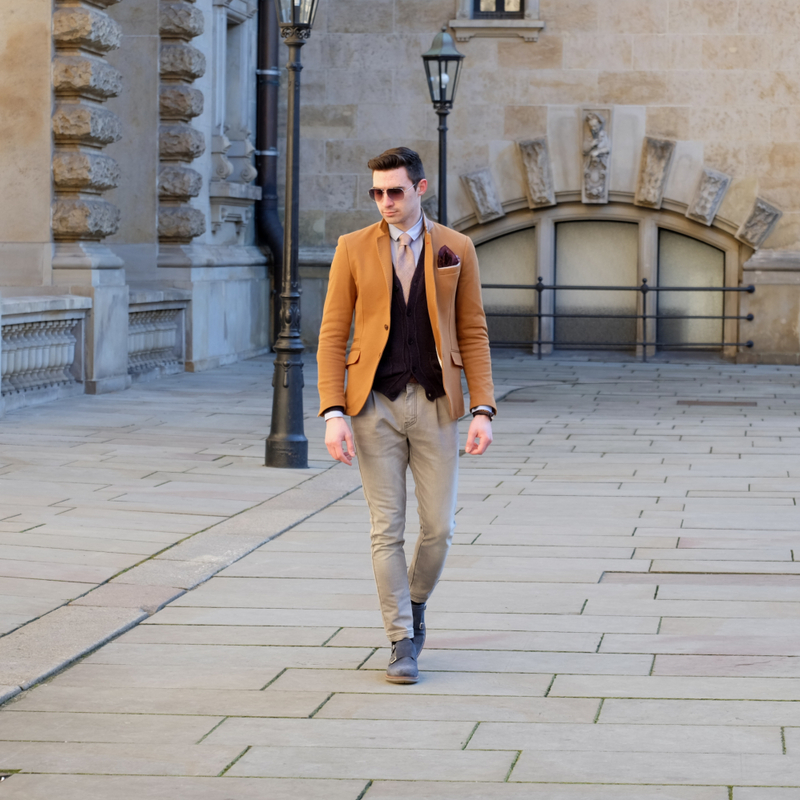 Today I took a more casual approach and am showing you how dark or burnt orange can be worn. Dark orange, often referred to as rust was seen all over the streets in Florence. Sometimes it was simply used as an accent color in accessories such as ties and scarfs and other times it was the main color of the outfit. For my look today I’m wearing a rust colored blazer and paired it with a lighter orange tie. I have actually had this blazer for over a year now and this is the first time that I’m wearing it. This color has never been a favorite of mine but after seeing it being impeccably worn during Pitti I decided to give it a try. What do you guys think about this not so common color? When worn the right way, this rusty colour is absolutely fabulous. That blazer is simply divine btw! There is something dandy about this look and I really like that. Very elegant and stylish outfit! Bellissima la giacca, ti sta molto bene! I really love your blog. You look so cool in every pics! is better later than ever: following you! I love your style, your details are aleays so original!!! Che eleganza, molto bello questo look! I love this dark orange color- it looks great on you! That blazer fits you to perfection! 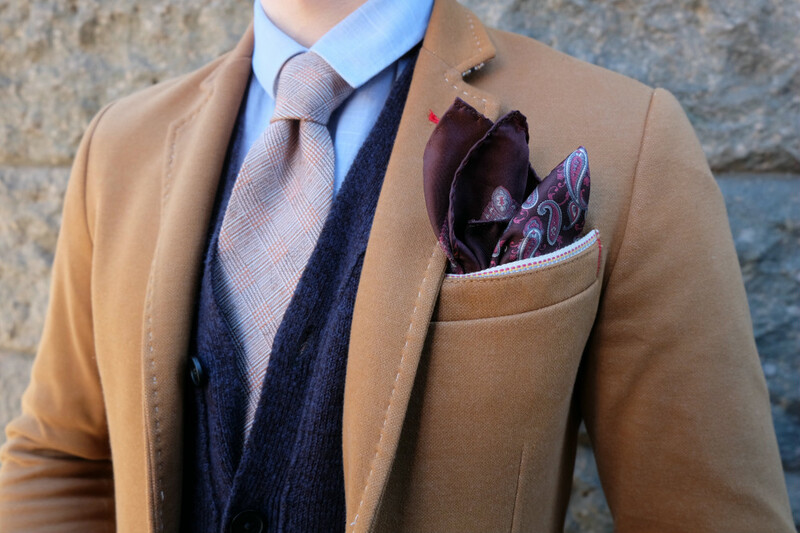 Wonderful cravat & pocket handkerchief! What a fitting title! Your fashion sense is purely impeccable. Love that camel shade coat against the blue cardigan! So dapper! u look amazing!!!! so smart! Stunning blazer and I like the colour, it's different and stands out in a very interesting way :) Have a great weekend. So elegant, love your jacket! you look handsome as usual! Love the location too, very beautiful! Very sharp and dapper again, that blazer is gorgeous! I love the sewing details, your sense of fashion is definitely remarkable. Love the color scheme of your look! This is simply perfect! Love how you mixed the colors! I like so much your blazer. 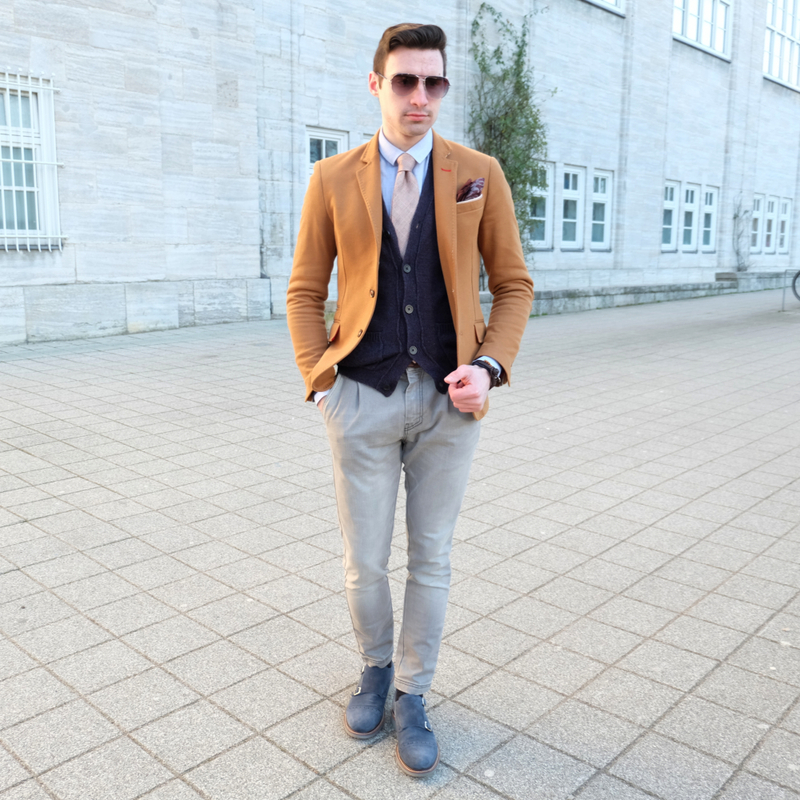 I find this look casual, probably because of the jeans, yet very neat and elegant. I love your blazer! This is such a nice look! you sure do know how to play with colors. Im a big fan of your style. Fabulous and classy as always! 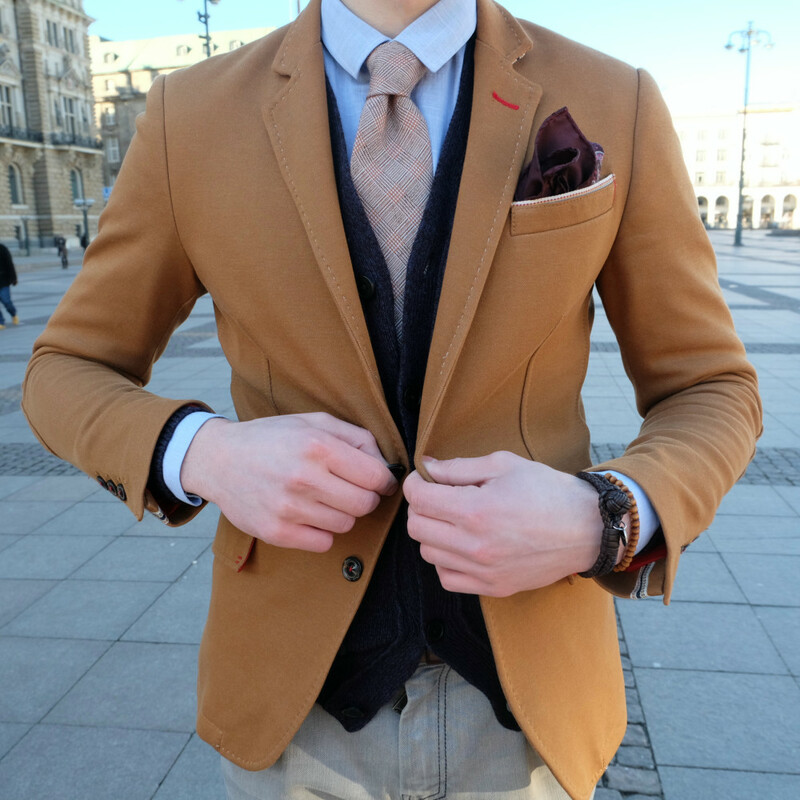 Really love the camel colored blazer. Dope style and eyewear! Thanks for sharing.